With live events continuing to buck the trend of the digital take over, why would adding a non-face-to-face element be a good idea? 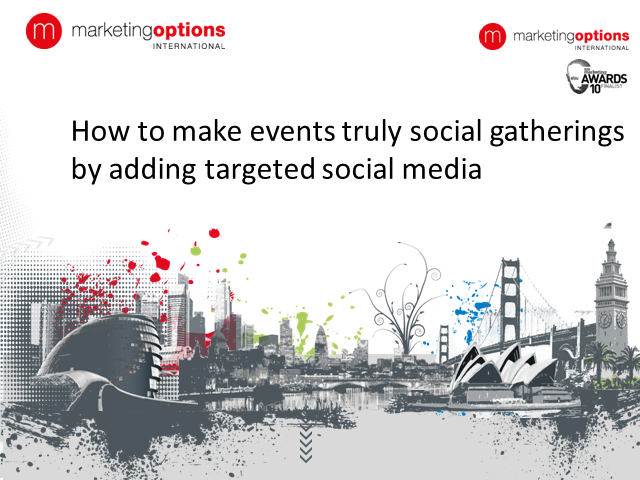 Learn how to integrate the extra dimension of social media into live events to support the aims of the event, while avoiding the clichés and pitfalls. Guy Dorrell, social and SEO manager at Marketing Options, will explore the ways in which social can help you to gather real, actionable feedback from your delegates whilst enhancing their event experience.